Closeup of the bird, where I've used Gilding Flakes and clear UTEE, then stamped into it with a swirl stamp and black Brilliance ink. 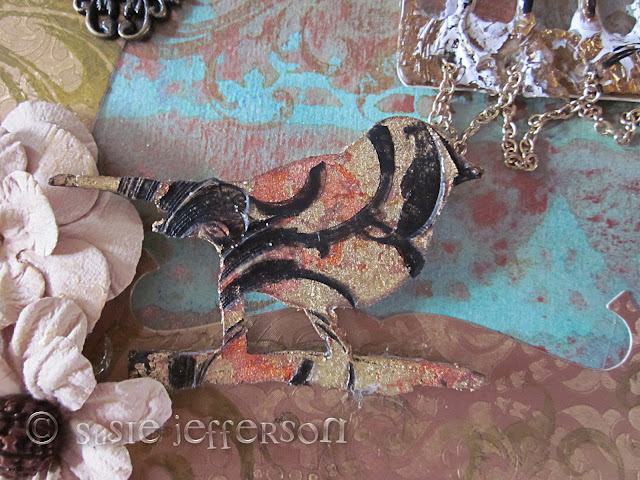 You can really see the depth of the stamp, and the texture. I've been playing around with Indigo Blu's Gilding Flakes and am very happy to tell you that you can use these with UTEE! Apply the Flakes in the normal way (Flitter Glue, then Flakes, then polish off with a Scoochie or a texture sponge) then add clear pigment ink over the top. 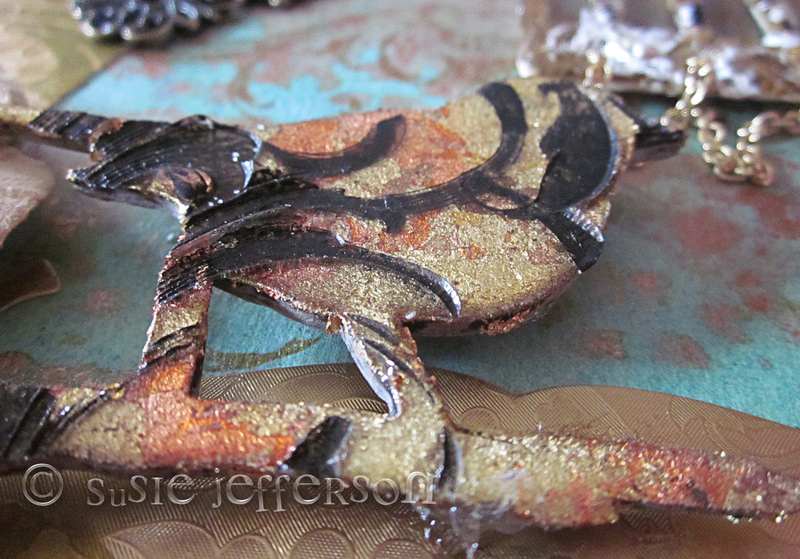 You then need at least 3 or 4 layers of clear UTEE, which you stamp into with a rubber stamp pre-inked with pigment ink. Voila! 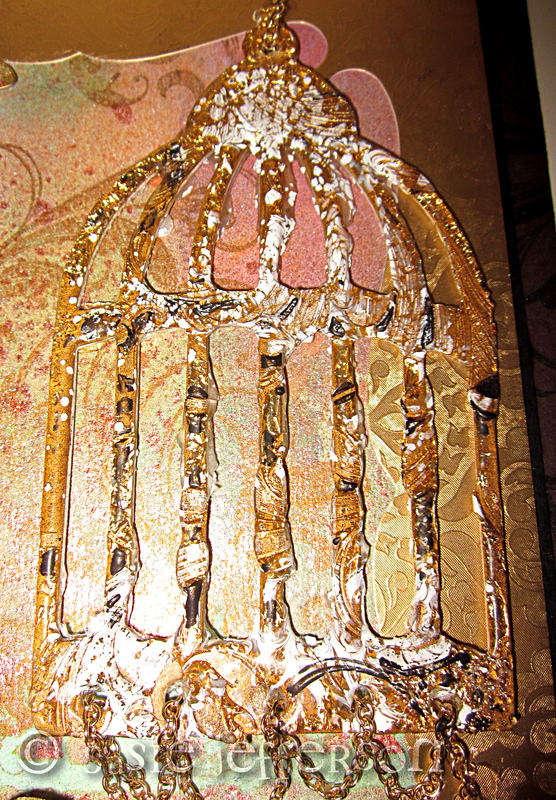 Closeup of the birdcage, where I've gilded with foil then added UTEE, which I've also stamped into. Notice I've added some fine gilt chain to the cage, threading it through and allowing it to drape freely. 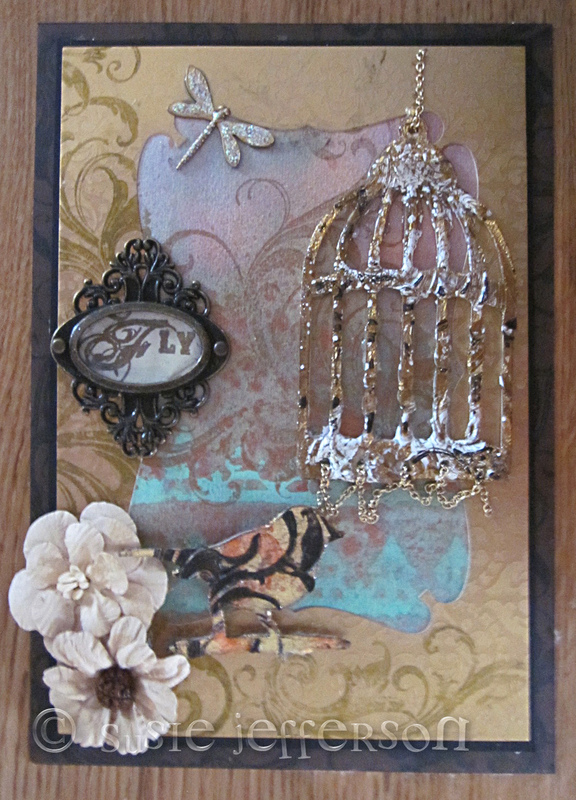 The whole card again, with a Tim Holtz metal label holder and paper flowers. My class tomorrow is showing all the latest methods - meantime I thought everyone might like to check out these phenomenal YouTube videos. It's usually all about the Hot Pot, but it's so nice to see people going back to basics and using UTEE with a heat gun, as we used to do when it first came on the scene. I bet you haven't seen this wonderful technique before, using Cosmic Shimmers (this would also work with Glimmer Mist). You really have to give it a go - phenomenal! 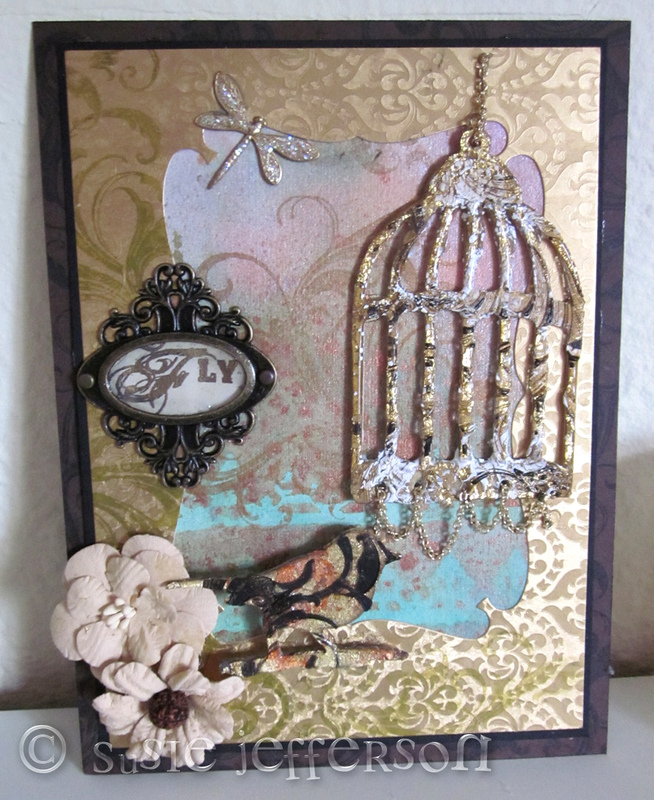 That cage is gorgeous, Susie! Bless you Marjie, that's so kind!